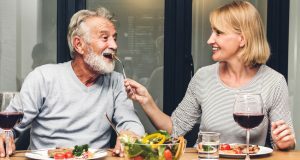 Including enough protein in our diets can be a struggle, especially as we get older. Most of us rely on meats like chicken and beef as our main sources of protein. While it’s true that there is nothing wrong with the old stand-by choices like chicken, salmon, or steak, it’s important that we consume protein from a variety of sources. Nuts and seeds are excellent non-meat sources of protein (and a host of healthy fats, vitamins and minerals.) 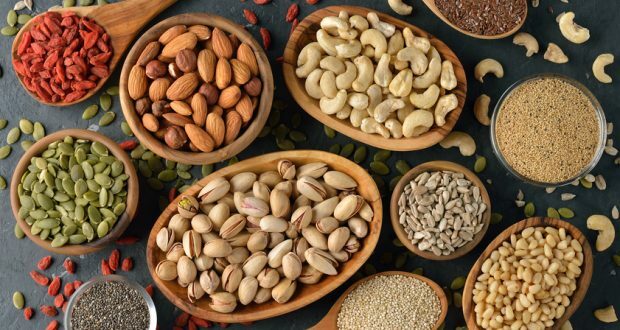 An observational study of more than 6,000 adults also associated a high intake of nuts and seeds with reduced inflammation. With inflammation being the root cause of so many chronic diseases, that is a very exciting finding when it comes to improving health! Almonds, walnuts, pistachios, flaxseeds, chia and hemp seeds are among some of the healthiest nuts and seeds to consume. Let’s learn a little more about each of them. Packed full of healthy fats, fiber, and antioxidants, almonds are hard to beat from a nutritional standpoint. Almonds are also an excellent source of vitamin E which has been credited with a reduced risk of diseases like Alzheimer’s, heart disease, even some cancers. A bonus for diabetics – research has shown that almonds may contribute to better blood sugar control. This is thought to be due to the high concentration of magnesium found in almonds. Some individuals with type 2 diabetes also have low magnesium levels. 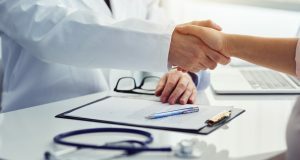 When research study participants with type 2 diabetes who had low magnesium levels took a magnesium supplement, a connection was found between higher magnesium levels and improved insulin resistance! 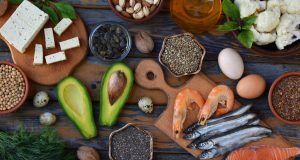 Healthy fats are all the rage these days, as studies continue to validate the importance of making them a bigger part of our diets. Just one quarter cup of walnuts provides more than the daily recommended amount of omega-3 fats! Walnuts also contain the amino acid l-arginine, which offers multiple vascular benefits, especially for individuals who are at increased risk of heart disease, or those who have already been diagnosed with heart disease. Walnuts are a superfood in their own right! They contain several powerful antioxidants, most of which are not found together in other commonly consumed foods. Research has shown that walnuts may help reduce risk of some cancers, prostate and breast to be specific. For men, they have also been found to improve sperm quality, and help both men and women maintain a healthier weight. These salty, addictive little jewels are better for you than the average snack. One study found that eating between two and three ounces of pistachios per day lowered levels of bad cholesterol and improved blood lipid levels. Research has also shown that pistachios help stabilize blood sugar after participants consumed a meal high in carbohydrates. Improved blood vessel and body motor functions were also observed after eating pistachios. Flaxseeds are a great source of fiber and omega-3 fats. Although, those good fats are found in the outer shell of the seed, which is difficult for humans to digest. To get the most nutrition out of this seed, buy ground flaxseed. That way, you are getting all the nutrition, but it will be much easier for your body to digest and absorb. Flaxseeds also contain polyphenols. Polyphenols are naturally-occurring chemicals found in plants. Their health benefits are mostly due to their role as antioxidants (free-radical fighters that reduce cell damage.) Type II diabetes, heart disease, even cancer – all show decreased frequency when intake of polyphenols is increased. For Type II diabetics, polyphenols may be especially helpful in lowering insulin resistance. By increasing the body’s insulin sensitivity, the body absorbs sugar more slowly. This results in lower blood sugar! Boosted immunity, better blood sugar control, sharper vision, anti-inflammatory properties, reduced anxiety and lower blood pressure. These are just a few of the benefits attributed to the combination of omega-3 fatty acids, antioxidants, fiber, protein, vitamins, and minerals in chia seeds. A true superfood! For a true protein punch, try hemp seeds. Believe it or not, the hemp seed is actually 30% protein! Better yet, that protein is of extremely high quality (better than most any other seed) and it’s what’s called “complete protein” – meaning the seeds contain all of the essential protein amino acids that your body cannot produce itself. We hope this inspires you to add more nuts and seeds to your diet. Not only will it help lower your risk of cardiovascular disease, but your blood sugar, immune system, even your waistline, can benefit, as well. Don’t’ be afraid to get nutty! Next: What Makes Certain Foods So Addictive?